Do you always have your eyes open for volunteer opportunities, so that you can teach your kids (or perhaps remind yourself) the rewards of doing for others? Do you often wish volunteering could be a bit easier, in terms of finding an organization to help, one that wants and needs your help, that would be feasible to go assist for a day? 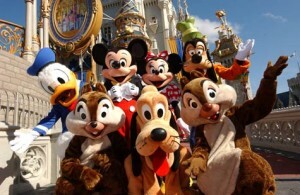 Have you heard about Disney’s new Give a Day, Get a Day program? This might be just the thing for you! Are you up for a challenge? Ready to try something that could not only help others around you but possibly change your life as well? Are you finding yourself in need of a little something – like a life with a little more purpose, or a better feeling about the life you are living? Do you sometimes feel like there is something missing – you are just not sure what it is or what to do about it? Well, I may have found just the thing you (and I) need. Give away 29 things in 29 days.